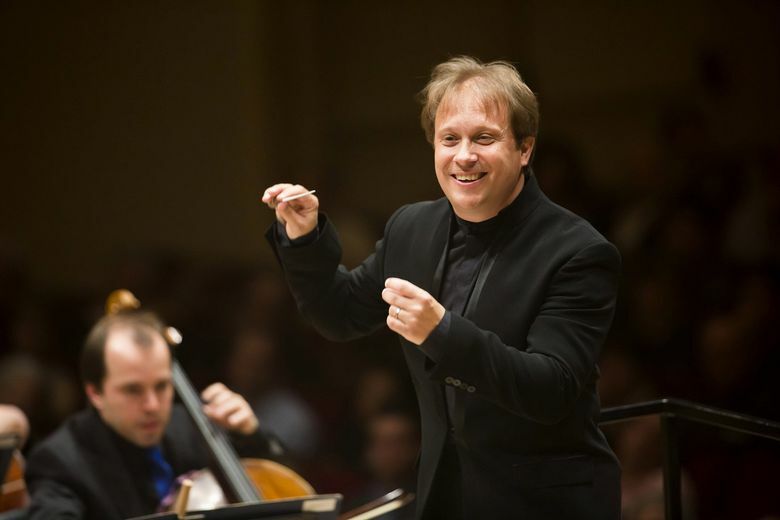 Ludovic Morlot’s 2018-19 season — his final one as music director of Seattle Symphony — builds on many of the themes of his tenure here. He’ll continue to mine the works of French composers, focusing especially on the works of Claude Debussy, who died 100 years ago. Morlot will conduct six works by Debussy including Gigues from Images, Petite suite, Jeux, Printemps, Suite from Pelléas et Mélisande and Nocturnes, according to a Seattle Symphony news release. He’ll also conduct works by new French composers Pascal Dusapin, Marc-André Dalbavie and Joël-François Durand, a French-born professor of music at the University of Washington. The symphony will also continue premiering commissioned works. The 2018-19 season includes world premieres of Kinan Azmeh’s Clarinet Concerto, two new works by Derek Bermel, Durand’s Préludes, a new piece for Heiner Goebbels’ Surrogate Cities, John Harbison’s What Do We Make of Bach? for Orchestra and Obbligato Organ, Caroline Shaw’s Piano Concerto, and a new work by Chen Yi. Guest artists and performers include the Silkroad Ensemble, violinist Joshua Bell, pianist Khatia Buniatishvili and many others. Subscription packages are available now; single tickets go on sale Aug. 4. For more information: seattlesymphony.org.